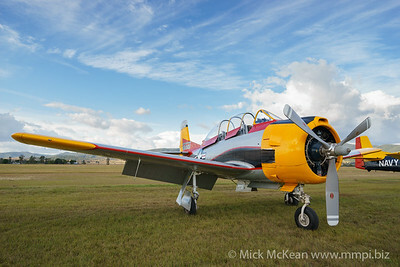 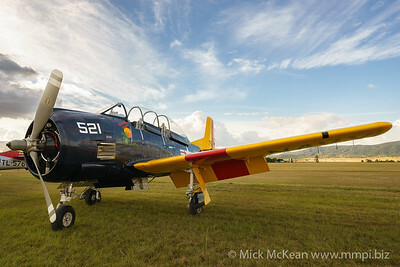 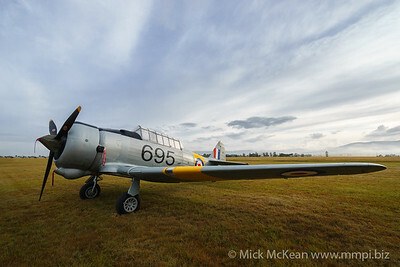 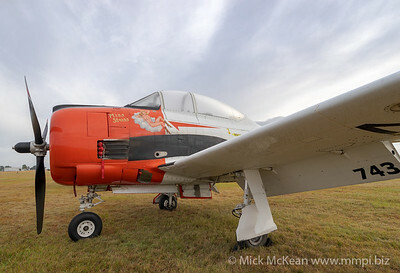 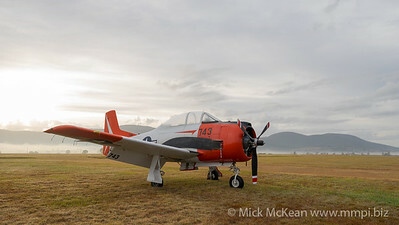 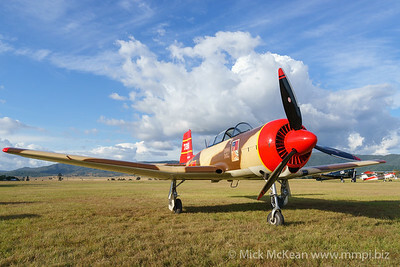 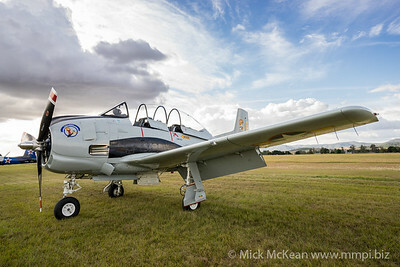 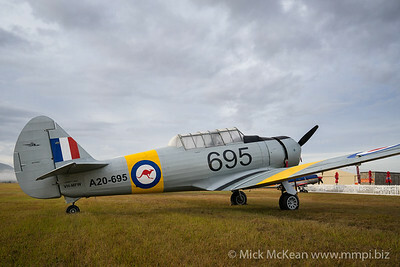 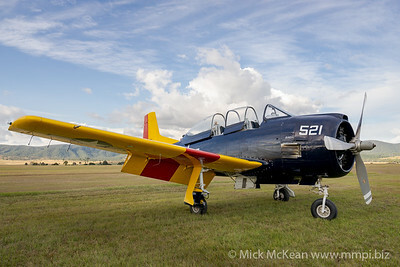 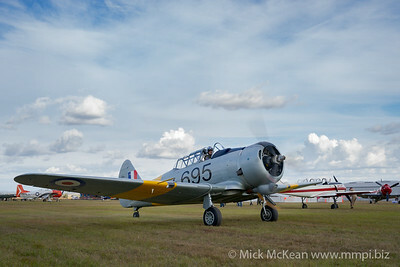 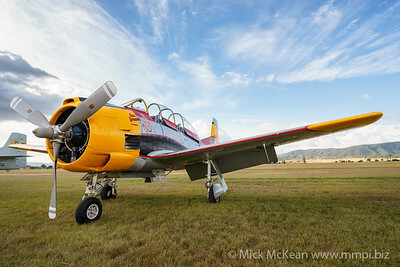 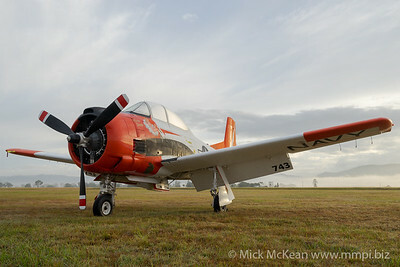 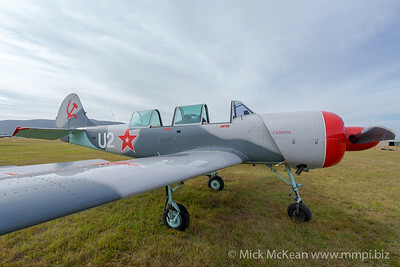 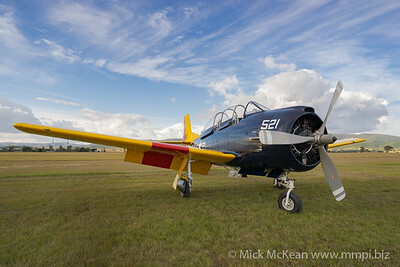 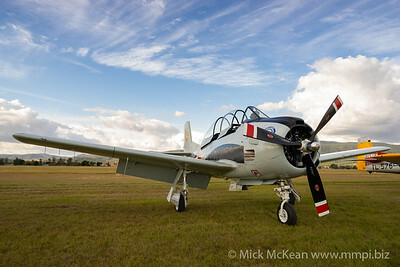 Trainer aircraft aircraft that appeared at the Red Thunder 2018 airshow at Watts Bridge Airport, Cressbrook, Queensland, Australia. 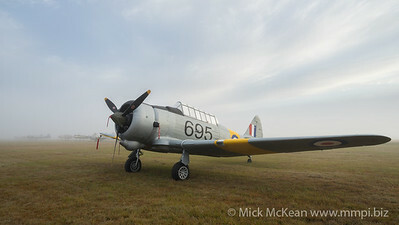 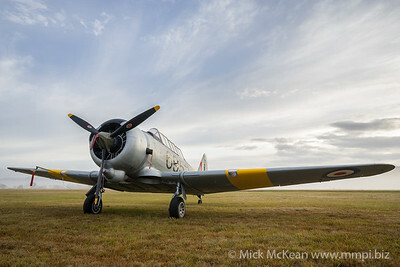 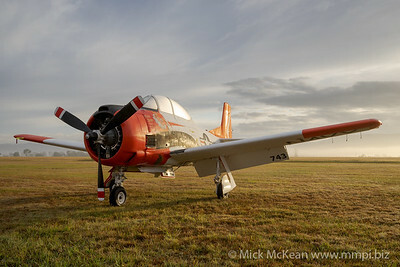 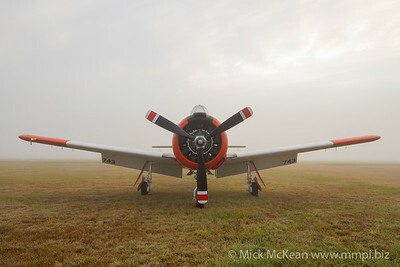 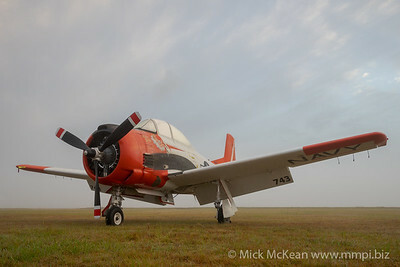 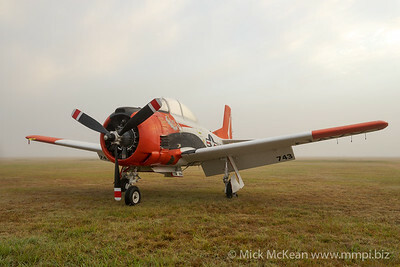 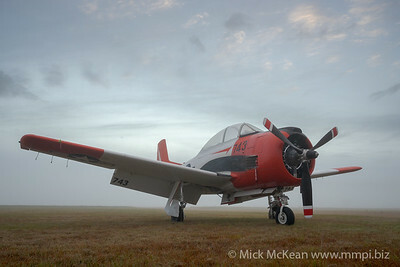 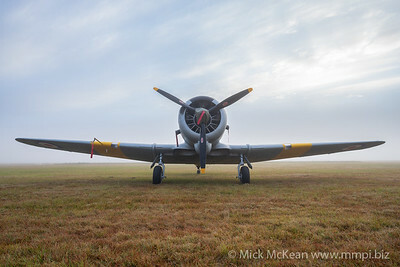 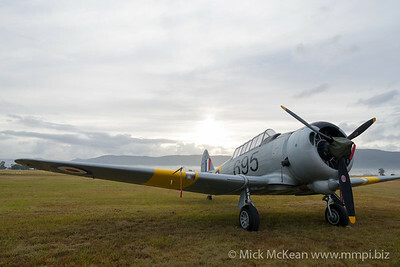 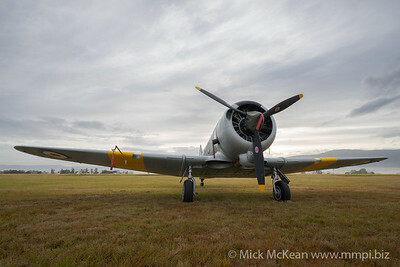 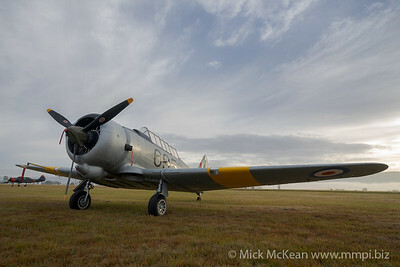 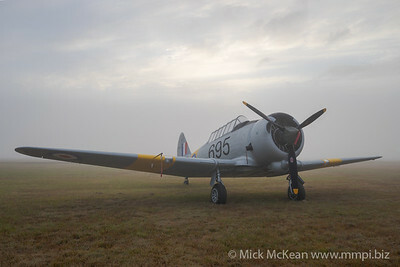 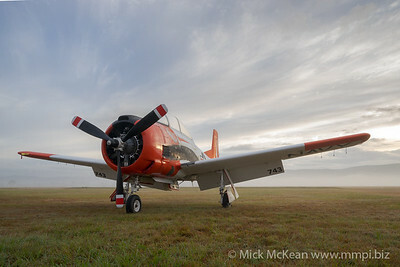 North American T-28B Trojan VH-RPX "Miss Stress" in a foggy sunrise at Red Thunder 2018 airshow. 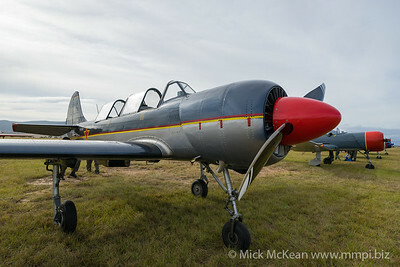 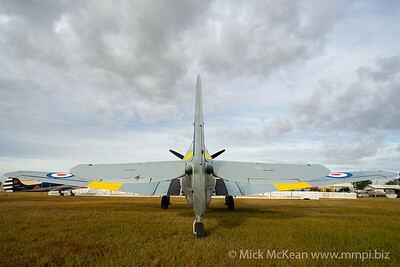 Watts Bridge Memorial Airport, Cressbrook, Queensland, Australia.